Isao Obata was born in 1904 in the Tokyo area of Japan. He was Japanese pioneer master of Shotokan karate. He was a senior student of Gichin Funakoshi, the founder of modern karate, and he was a key figure in the establishment of the Japan Karate Association (JKA) in 1949 under Funakoshi. 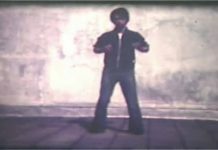 It was Isao Obata’s martial arts demonstrations to the United States Air Force personnel that helped introduce karate in the United States along with the help of his students, most notably Tsutomu Ohshima. As a child, Isao Obata had a great interest in the martial arts, and left it to his younger brother, Satoru, to prepare to eventually lead the family business. At school, Isao Obata trained in judo, kendo (swordsmanship), and kyudo (archery). Unlike most Japanese boys of the time, he went through several schools, and entered Keio Preparatory School in Tokyo around 1922. A friend gave him a copy of Gichin Funakoshi’s first book on karate, and this sparked Obata’s interest in the art. Upon completion of his secondary education, Obata gained entry to Keio University. In 1923, Funakoshi accepted a position teaching karate at the university, and Obata was one of the first students in line. 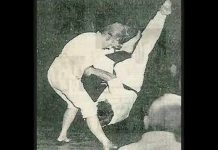 He would go on to become one of Funakoshi’s senior students. The Great Kanto earthquake struck later that year, destroying most of Tokyo, including Keio University’s karate dojo (training hall). 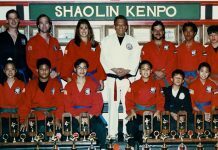 Within the year, the students rebuilt the dojo and training resumed. Kyuichi Obata was always too busy with his business to get to study the martial arts, but he was pleased that his son was committed to karate as one of the family’s ancestors had been Obata Nobusada, a famous samurai, general and governor under the daimyō (feudal lord) Takeda Shingen in the 16th century. Isao Obata mother, Toyoko Obata was a deeply religious Christian and saw the martial arts as contradictory to her beliefs, but she never inhibited her son’s training. 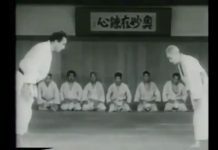 Over the next few years, Obata assisted Funakoshi with teaching karate at Takushoku University, Waseda University, and Hitotsubashi University (then known as Shoka University). Isao Obata became the inaugural captain of Keio University’s karate club. In 1926, Funakoshi awarded Black Belt status to his most senior students, including Obata. In 1927 Obata’s father died of a heart attack. In 1932, Obata traveled to Manchuria and worked there for more than 10 years as an economic adviser to the Manchurian Aviation Corporation. He was responsible for flight scheduling and operations. 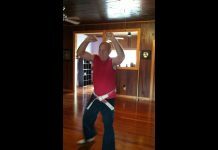 During this time, he taught karate privately to a few friends and students, but turned his focus to kyudo. His mother introduced him to a young woman, Miyako, and the two were married in Tokyo by 1935. In 1940, he returned to Tokyo to represent Manchuria at a kyudo tournament, and won the competition. For a time, Isao Obata was much better known for his expertise in kyudo than in karate. During the first few months of World War II, Obata was promoted to the rank of 5th dan in Shotokan karate. When Japan entered the war, Obata’s brother Satoru joined the Imperial Japanese Army as an officer. 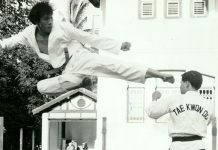 Satoru Obata had practiced judo and was ranked 2nd dan in karate. He died in the bitter fighting for Iwo Jima, and this meant that Obata had to return to Japan to look after his mother and sister. His brother’s death affected him deeply, for the two had been very close. With the end of the war, the occupying forces suspended all martial arts training in Japan for three years; it was only after that Obata could resume training under Funakoshi. In the meantime, he worked at international trading company Hirano Seiko. On May 27, 1949, Isao Obata, Masatoshi Nakayama, Shigeru Egami, and other colleagues established the Japan Karate Association (JKA) under Funakoshi. Obata was the inaugural Chairman of the JKA, with Funakoshi as Honorary Chief Instructor and Nakayama as Chief Instructor. In 1954, he left the JKA when the organization became increasingly commercial and militaristic in nature. Along with Nakayama, Hidetaka Nishiyama, and others, he began teaching personnel from the US Strategic Air Command (SAC) who were based in Japan. Through Emilio Bruno of the SAC, whom Obata had earlier met through his work at Hirano Seiko, SAC headquarters invited Obata to visit the U.S. to demonstrate his art. For two months in 1953, Obata flew from base to base, demonstrating Shotokan karate to U.S. military personnel; Obata then returned to teaching in Japan. Obata’s master, Gichin Funakoshi, died in 1957. While Funakoshi had been honorary head of the JKA, Obata felt that the university karate clubs (Keio, Waseda, Takushoku, Hitotsubashi, and Hosei) most faithfully represented the spirit of Funakoshi’s karate. 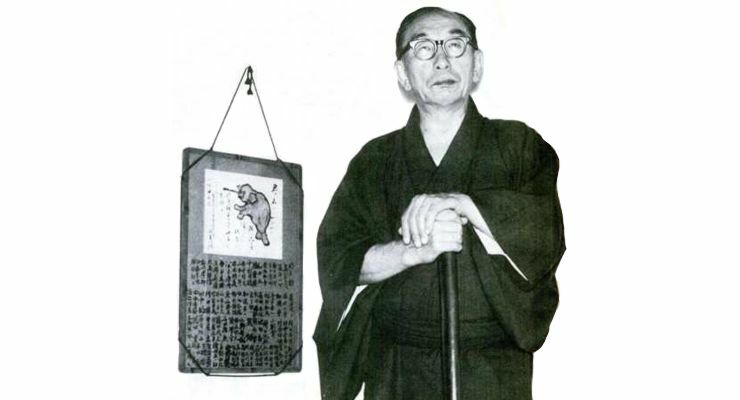 Through the 1950s and 1960s, Obata continued teaching karate to SAC personnel at the Kodokan. In 1968, he visited the U.S. again and was honored by his student Tsutomu Ohshima, who had established the Southern California Karate Association. Obata’s mother died that year. Another pioneer of karate in California, Dan Ivan, also studied under Obata. Isao Obata died in 1976.